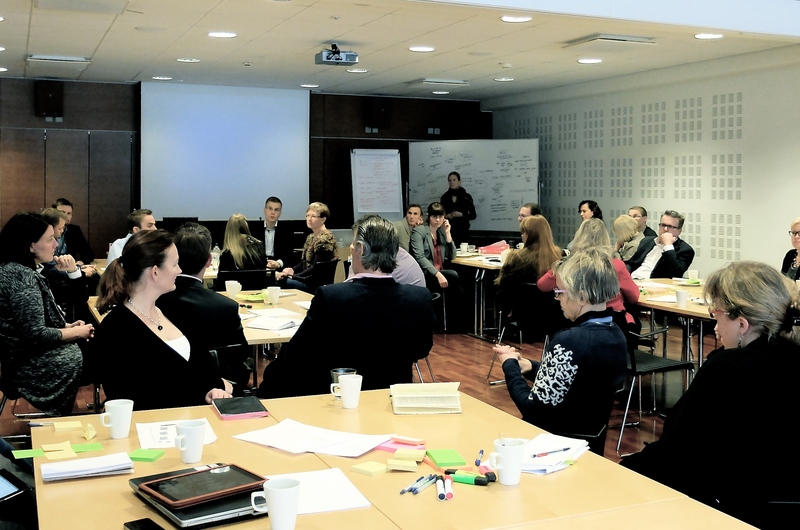 Last week Helsinki based Health Spa, a startup cluster applying open innovation principles in the mHealth and wearables space, invited M4ID to collaborate in running an innovation workshop to explore new service opportunities at the intersection of wearables, health and patient centred care and prevention. Several start ups presented their existing products and services, including Wellmo, Modz and Netmedi and Christian Lindholm from Korulab presented his view on where the wearable world is headed . The workshop and discussions showed that collaborative efforts between issue, technology, business and design experts are needed to tackle tomorrow’s health challenges. We are excited to learn so much about wearable technology and see how much technology competence is available in Finland. We will continue to explore this area for innovations that can be applied in low resource settings. So stay tuned for more!